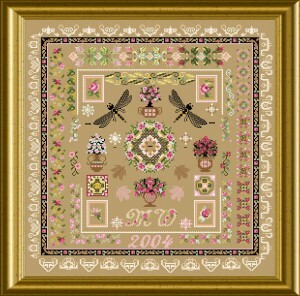 A sampler with touches of “Mandala” , but not 100% symmetrical -a rose-themed ornamental embroidery. Best on a natural colored linen background, you will stitch many small ornaments and tid-bits, and finally personalize the piece with your choice of letters and numbers. An entire rose-embellished alphabet it provided ! Cross stitch is the base and many Special Stitches add to the stitching pleasure with cotton threads, silks ,beads and special sew-on embellishments. 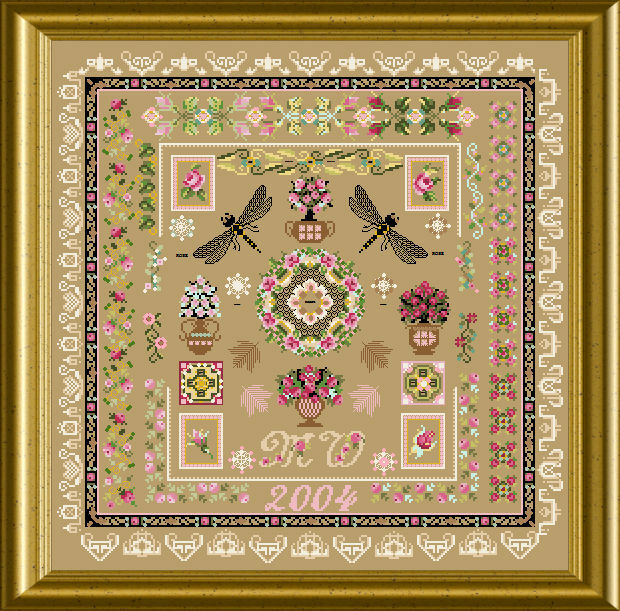 The mere design size is 253 x 256 stitches.